We are excited to announce that our Founder/CEO, Sherida Morrison, will be presenting at the upcoming Grant Writing and Development Conference hosted by Virtual Solutions Group. The conference will be held on Saturday, February 25, 2017 at the Chicago Lakeshore Hotel from 8:00AM-4:00PM. 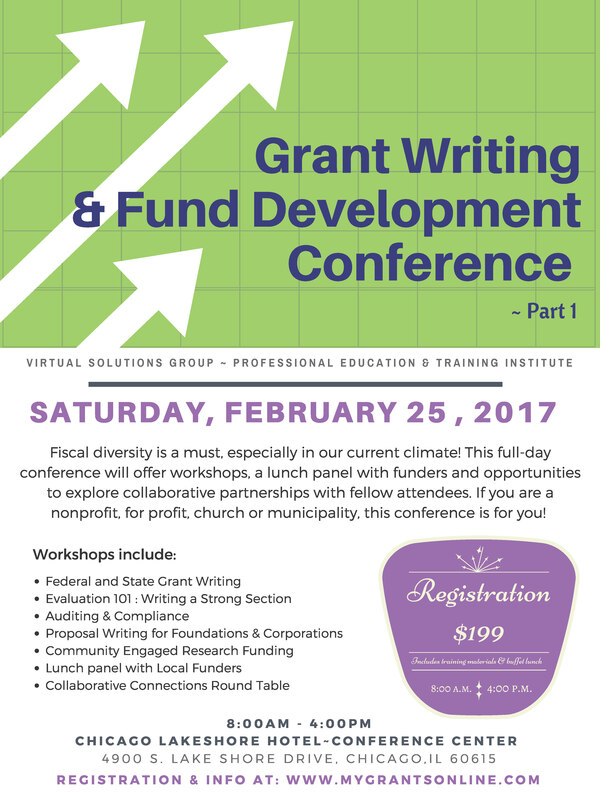 Come learn the art of successfully writing federal and private foundation grants from federal grant reviewers & trainers.!!! Would you like to meet actual funders from the Chicagoland area? Then you must attend our grant writing and funding conference!!! Limited seating, apply today www.mygrantsonline.com!! !